The Greek government is preparing for an early repayment of expensive loans granted to the country by the International Monetary Fund (IMF) during the bailout years. During a radio interview on Tuesday, Finance Minister Euclid Tsakalotos revealed that the funds saved from the high interest rates on these loans may be used to reduce taxation and promote social policy. According to the minister, around 3.5-4 billion euros of debt to the Washington-based Fund is serviced with 5 percent interest, a rate higher than what is currently on offer via debt markets and way above bailout loans owed to European creditors. 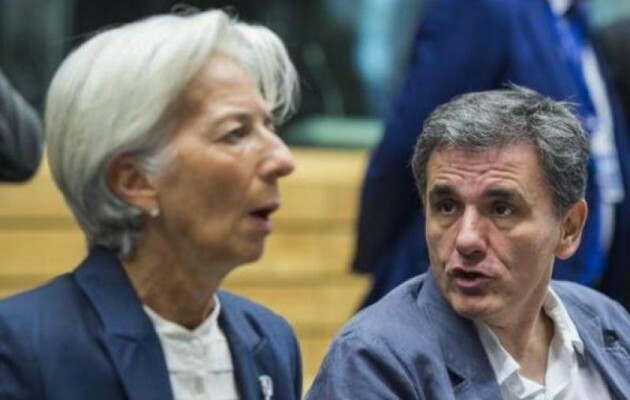 Tsakalotos said the issue may be examined at the IMF’s annual Spring Meetings on April 12-14. It is estimated that a total of about 150 million euros in interest payments may be saved via a possible early loan repayment. Greek bond yields have dropped sharply in recent days, while the Athens Stock Exchange has also shot up, helped by the recovering banking index. Financial analysts point out that an early repayment of IMF loans will be a positive signal to investors from Greece, as it will improve perceptions regarding the country’s ability to service its debt. In a wide-ranging interview, Tsakalotos also revealed that the government is ready to introduce legislation providing for the repayment of debts to social security funds and tax authorities in as many as 120 installments. He pointed out that a “smart system” will be used to exclude strategic nonpayers and help those most in need. Moreover, the minister noted that this issue does not require the approval of Greece’s international creditors.